The high-quality interior including the WellnerBoard, video recorder, modem, interfaces, etc. is encased in a durable steel housing. All sensors, including the camera, are screwed tightly to the outside wall, access is gained via a locked lid. Additional sensors, e.g. 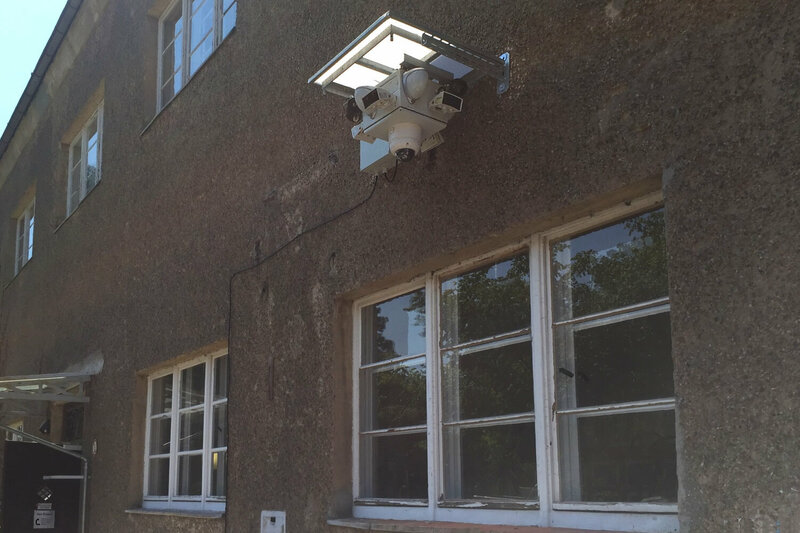 long-range detectors or thermal imaging cameras, can be attached to rods and roof structures. 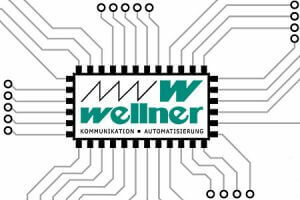 You can connect to the WellnerBOARD via cable, WLAN or radio waves. The heart and brain of the video system and thus of the entire WellnerBOX is the WellnerBOARD – designed and developed in-house. The logical connection of the individual components and the large number of interfaces that can be calibrated make the WellnerBOX what it is: the perfect, all-in-one security solution for any project. The WellnerBOARD standardly has 16 interfaces, which can be freely assigned and adapted to the programme. As developers of this control unit we can refer to a multitude of software features, unique on the security market. Four infra-red spotlights make sure the cameras of the WellnerBOX are never in the dark and ensure optimal surveillance conditions, even in complete darkness, rain, snow, and fog. Since infra-red light is not perceived by the human eye, the IR spotlights do not disturb road users or neighbours and do not alert potential perpetrators of their activated status. 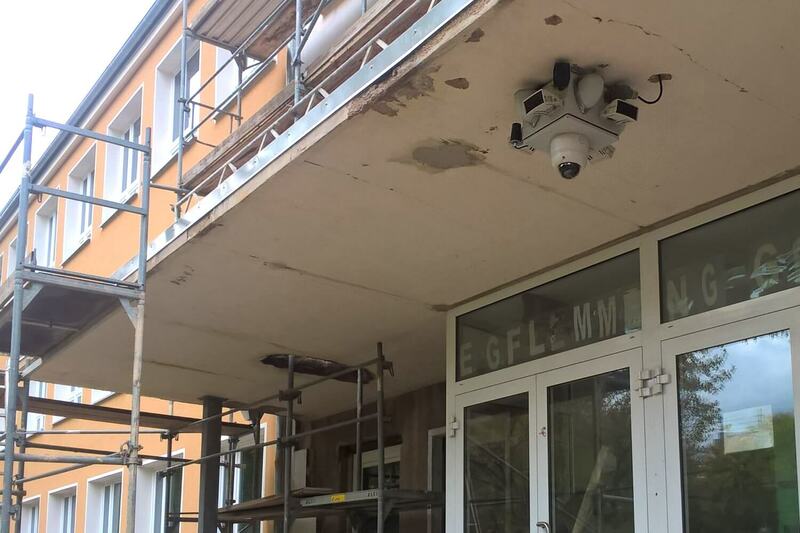 Depending on the situation / alternatively we also use dome cameras with integrated IR modules. 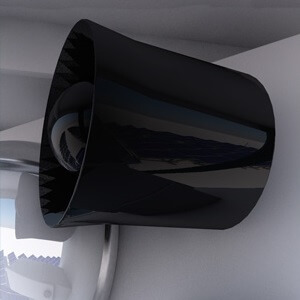 Two standard pressure chamber loudspeakers, the activation of which allows potential perpetrators to flee, are used to address suspects live and clarify incidents. In 99% of cases, the fact that unauthorised persons do not trigger the playback of audio tapes but are specifically observed and acoustically confronted with their own actions has been proven to lead to the flight of the suspects. This is how preventive theft protection works! 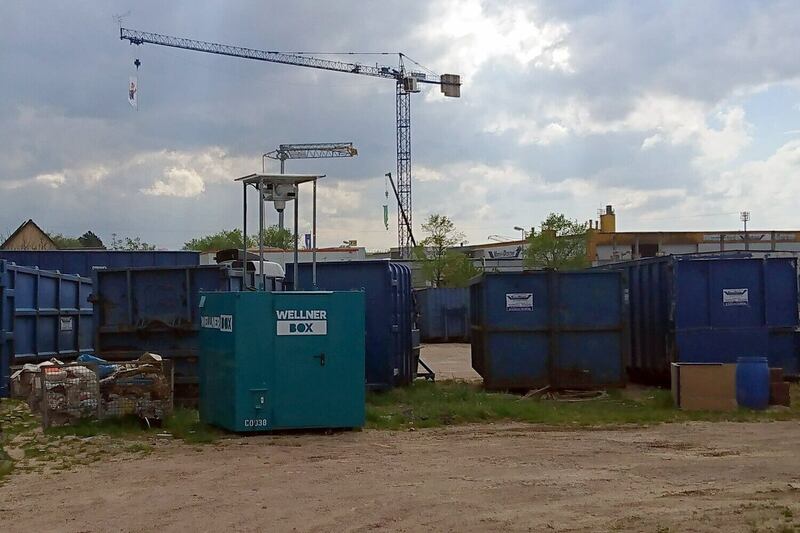 The sensor unit of the WellnerBOX is equipped with 4 motion detectors as standard. This means that all directions can be covered evenly, making it ideal for outdoor use. For special situations, the range, focus and the number of motion detectors can be adapted modularly. 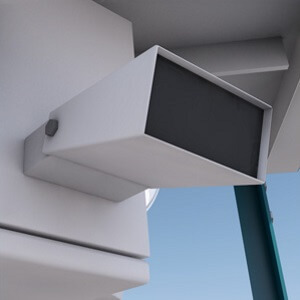 Triple sensors (motion, body heat, object size) drastically reduce the rate of false alarms and only inform the connected control station in real alarm cases. Of course, the data of all motion detectors are evaluated in parallel and different incidents can be registered simultaneously. The possibility of remote maintenance makes it possible to activate / deactivate motion detectors. All four motion detectors are active in the standard version, even when a WellnerBOX is delivered. But depending on the application, one or more motion detectors can be deactivated. This is useful, for example, if for certain reasons the WellnerBOX is located close to a road, if passing traffic should not trigger the detection or if potential surveillance areas are faded out for data protection reasons. Technicians are not required on site, a clear cost advantage. 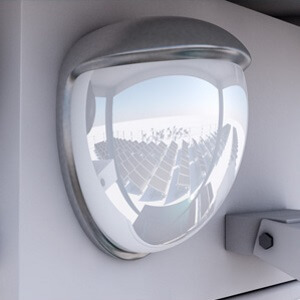 In addition to the standard equipment, additional long-range detectors can be used. The radio connection of external motion detectors, e.g. in nearby buildings is possible via radio. However, these are special customer adaptations whose technical implementation must be closely examined, also with regard to the power supply concept.